I am sure many of us appreciate products that are not only convenient, bur versatile as well. 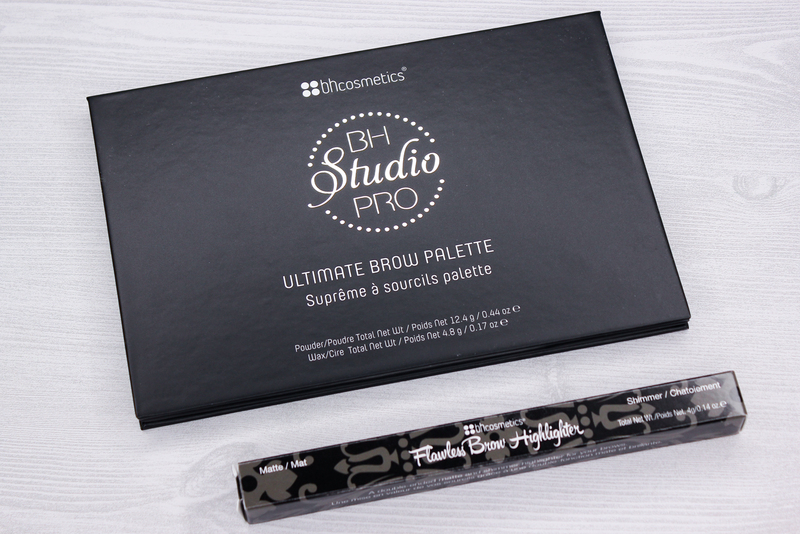 bh cosmetics' Studio Pro Ultimate Brow Palette is one of my most recent favorite finds. It contains 8 brow powders and 4 brow waxes, in a variety of different tones. Filling in and defining brows couldn't be any easier when using this palette. 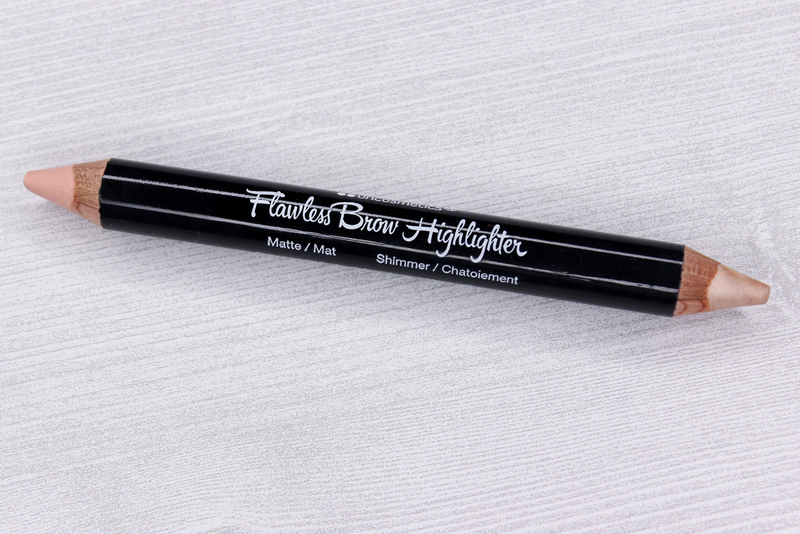 To go along with the Studio Pro Ultimate Brow Palette, I also picked up bh cosmetics' Flawless Brow Highlighter, which gives you the option for a subtle or glowy brow highlight. 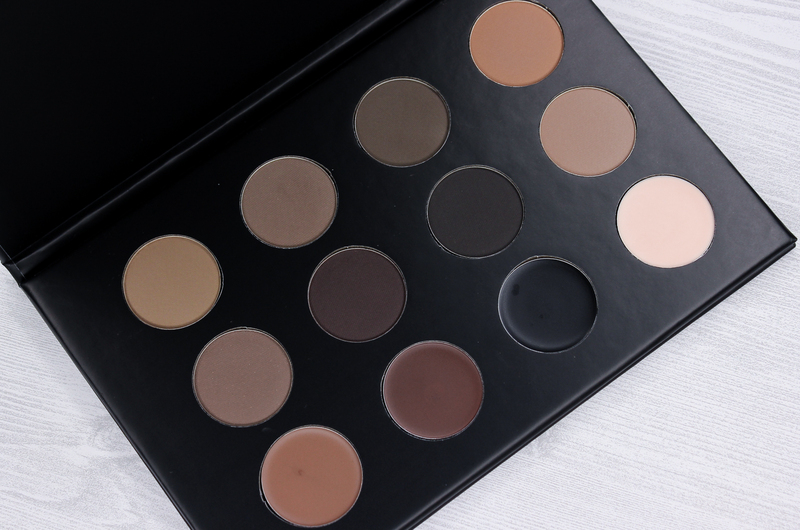 Options definitely don't fall short when it comes to this palette and how it can be used. You can use the brow powders individually or mix a few shades to create a custom one. The brow waxes can be used alone, or as a primer to help keep the brow powders in place-great for unruly brows that are hard to tame. I find that using just the powder is enough for my brows. But if I do happen to want to go a little bolder with my brows, I will shape and define them first with the wax, then go in with the powder to fill in sparse areas. The results are always so natural and effortless. The brow powders and waxes are super long wearing, and very pigmented-with the exception of the colorless wax on the bottom right corner of the palette. A little bit of product always goes a long way. This jumbo, double-ended pencil has a matte bone colored highlight on one side, and a frosty/shimmery light champagne on the other. I think this pencil is alright, but I don't think I reach for it enough to want to repurchase it. I do like how creamy and soft these are, but I feel like both the matte and shimmered colors disappear on my skin once blended in, and don't really give me that sharp and defined brow bone highlight that I like. I think I will just stick to using concealer to carve out and highlight my brows. It never fails. I wasn't really blown away by the Flawless Brow Highlighter, but the Studio Pro Ultimate Brow Palette gets a huge two thumbs up from me! It'a a nice go-to palette that I am sure many will find useful and easy to use. The budget-friendly price doesn't hurt either. I think the palette is especially a great pick for makeup artists, since the different powders and waxes will suit many clients. What do you all think of these brow products from bh cosmetics? Which are your favorite products to achieve defined brows?